CAMARGUE VTC Premiumis a modern company, which is highly experienced in the management of hired cars. It offers transport solutions on demand with easy access and attractive prices. Safety with our experienced drivers speaking different languages (French, English and Italian) who will guarantee our customer service excellence package. CAMARGUE VTC Premium bases its fundamentals on Punctuality, Discretion and Courtesy. We will cater to all of your needs offering a hiring car service with a private driver of a high standing. Our services are diverse and focus on a large panel of customers including private individuals or companies. 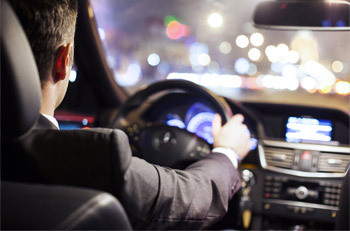 From a simple transfert to a hired car with driver for several hours, for a shopping trip, night event, restaurant, loss of driving license, tourist visit…we cater to all your needs! What is a Chauffeured hire car ? A Chauffeured hire car is a means of transport, similar to taxis and other public transport, which arranges transport for private or business individuals, school students, airport transfers, train stations, companies, schools, and to touristic locations. As of February 2014, there are 7 212 chauffered cars companies in France. Chauffeured hire car services were officially recognised on the 1st of January 2010 but has existed since the 17th century ! Our vehicles meet all standard requirements of the transportation legislation in France. In a Mercedes Class E IV, you will have a WIFI access, an Ipad, Spotify Premium, available connection on multiple devices, “Intelligent Drive” software for more safety on the road. A new Mercedes Class V will soon be added to our fleet of vehicles and make sure that we have the best comfort for your conferences, corporate transfers or even own visits (incorporated TV screens, Bluetooth connection, DVD player…). Drivers of CAMARGUE VTC Premium all have the professional card of tourism transportation, certified by the regional transportation authorities. With a specific training of a minimum of 250 hours, they all graduated as “Chauffeur Gold Limousine Label Quality”, trained by the ADFL (Academy of Lagneau’s training). They have all completed a medical visit and provided a police check record. This is a guarantee of safety for your family, guests and yourself. Our drivers speak French, English and Italian fluently! We want to make sure that the communication is as smooth as possible for you with clients from any country.